Register Log In ECN Forum Forums Violation Photo Forum LIPA Temp for SVC? 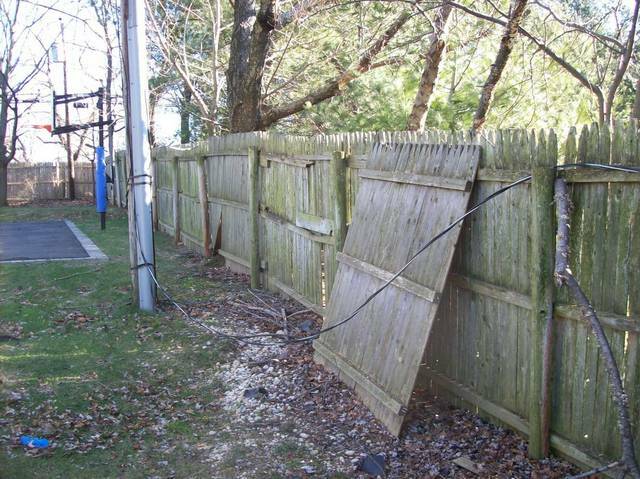 LIPA's feed ran along the fence to the middle of the property where it ran up a utility pole (then overhead, out to the street). The feed ran right through the face of the meter pan. I'd asked how long ago this happened (expecting a week or so...) and was told March of 2008! LIPA didn't even put the line on the fence, they left it on the ground! The HO moved it up there. I contacted a friend who works for LIPA, explained the situation and was told that it was their policy to leave it on the ground and they normally give the HOs x# of days to fix it! Holy liability batman! I don't understand how a POCO would risk that even for a couple of days. Did a temp overhead SVC until the HO decides if they want to keep the OH or repair/replace the underground. The HO also told me he never got a copy of the inspection cert and the EC isn't returning his calls, so I don't even know (yet) if it's legal. He is getting free power. What's the hurry to get it fixed? Shame on LIPA. 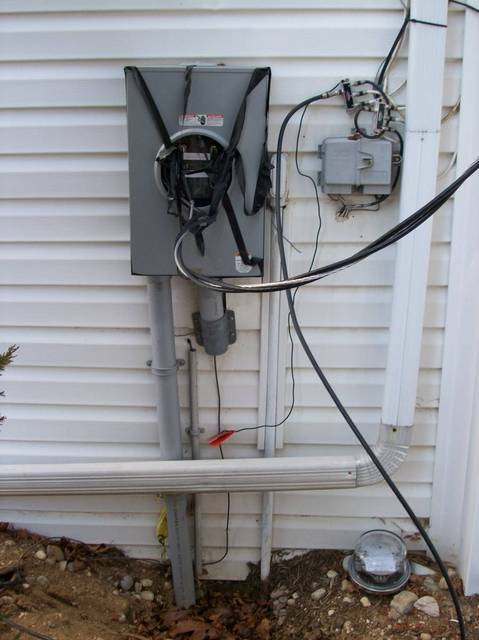 I assume their meter reader has been to the residence several times to look for a meter reading and should / would have reported this so they cant say they don't know about it. Does the reader care? I had a new service entrance installed due to an upgrade needed as result of a new hot-tub, the EC replaced the SE cable and attached it to the triplex at the weather head using temp connectors with hex grub screws. The POCO reconnected the power that day (it was killed at the pole) and then they said they would return to replace the temp connectors with crimped aluminum ones. They did so 7 months later and replaced the meter at the same time (new digital display). But of course I was paying for power as the old mechanical meter was still in place. So I guess it takes time but this is an extreme example. jdevlin, At first I figured that since the meter was on the ground, that's the way the HO justified not contacting LIPA. I asked her and she said that the POCO has been billing her. I guess using estimated bills. But, they've got two young kids. I wouldn't put my kids' lives at risk to save some money (even at LIPA's rates). I've seen a few similar over the years. All in BUD areas, failed line/neutral, temped out like your pics. And, yes, the estimated bills arrive every month. The POCO's have there own 'rules'! In present time, this still happens, but...it's addressed quickly! Both POCO's (JCP&L & PSE&G). I must say..PSE&G addresses BUD issues within 12-24Hrs; OH (utility owned)is addressed by the trouble lineman when the emergency is called in. I would certainly not be very happy with the quality of workmanship on this installation (the temporary triplex not withstanding). The slightly crooked meter can and the poorly lined-up conduit fittings beneath show very low regard for quality. what the heck kind of fitting is that on the right pvc ? never seen that before. national grid would not connect to that up here either fix it or no power, simple. We get frozen ground up here in Manitoba and in a URD served subdivisions the utility will bring in the SucTruck subcontractor with a steamer to slot trench the ground to make a repair. If its a URD optional area I have seen them set a pole on the property if required for clearence and have the HO go to overhead service. Never have I seen a line left on the ground into the meter can though. Out of curiosity I checked to see what the NEC would say about this "temporary service." 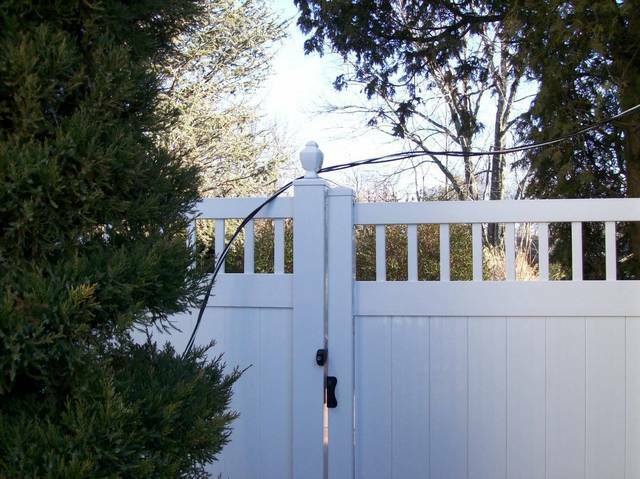 Since it was installed on March 2008 as a temporary service that would violate the 90 day time rule of Article 590.3(B) and the way that service cable has been run violates the 10Ft clearance rule of Article 230.24(B)(1). Plus the sight of how the cable's been connected to the meter socket is rather frightening, that's got unsafe written all over it. Last edited by packrat56; 01/15/09 09:37 PM. Utility (POCO'S) are not covered by the NEC. They are in the NESC. Yes, OH clearances are within NEC, but it's the EC's responsibility to install the drop hook at the proper height. The EC's have to contact the POCO here for a service location/meter location, and the POCO tech determines the min/max hook height. Please note that I am in no way defending this 'temp', nor the POCO; and I agree it is a danger & should never have been around as long as the OP said.